This is a very contentious issue. Everyone has a different opinion on what makes a good horror film so there are going to be plenty of people reading this who disagree with these choices. However, these horror movies do have merit and are definitely worth a look. 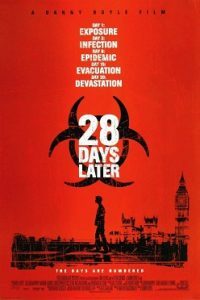 28 Days Later is a movie made by Danny Boyle and depicts a world in the days after a virus has wiped out most of the population. This movie was made in 2002 and features the almost obligatory zombies that feature in many horror movies of this type. This movie brought rising star Cillian Murphy to the attention of the public. An American Werewolf in London was made by John Landis in the 1970s and is widely considered to be one of the best horror movies ever. It garnered praise for its excellent special effects and make-up and earned the first ever Oscar for Outstanding Achievement in Make-Up. If we take a look at the 1960s then Alfred Hitchcock should definitely appear on this list. He made films that were not as gory as modern horror but still has the power to chill the viewer to the bone. While the lack of sophisticated film-making technology is apparent when the film is viewed now, there is still plenty in this film to recommend it and will always make viewers look with suspicion when birds start to gather! The Blair Witch Project created a horror movie from a new perspective. It featured ‘found footage’, so the whole film has a sense of realism that is lacking in most horror films. For some viewers it was difficult to remember that this was actually fiction, the filming of it was simply the stars on their own in a forest with a camera. The Exorcist is one of those movies that people have seen once but won’t watch a second time because they remember how much it scared them the first time. Made in 1973, it is reported that cinema goers fainted. A tale of demonic possession, this is the movie that has set a standard for horror movie-makers ever since. The story of a child’s battle against demons is one that captures the imagination and the final scene has become truly iconic.